Arrested for Drug Possession and Need a Criminal Defense Attorney? All states have laws that regulate the possession of controlled substances for personal use. In Arkansas, the list of controlled substances is determined by the Arkansas State Board of Health. Under Arkansas law, controlled substances include not only well-known drugs like marijuana, cocaine, methamphetamine, and heroin, but also the compounds used to make them. You may have what amounts to a controlled substance in your possession without even knowing it is against the law. So, it is important for you to understand exactly what substances are classified as controlled substances under Arkansas law, as mere possession may be sufficient to file a charge of possession against you. 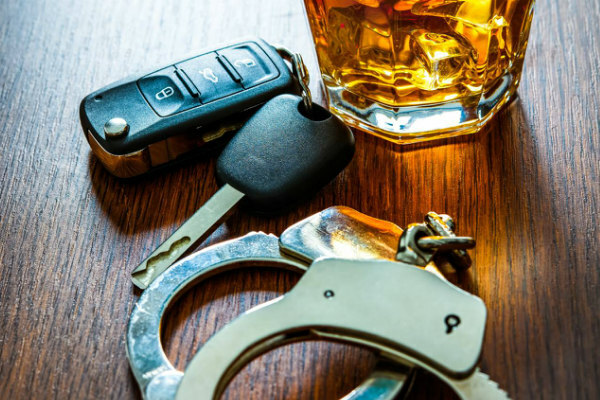 If you are charged with possession of a controlled substance, it is essential that you hire a competent criminal defense attorney immediately to significantly improve your chances of a positive outcome. At the Law Office of Jason M. Hatfield, P.A. we provide strong representation for individuals facing possession charges. Often, possession cases turn on the seemingly small details concerning how and where the drugs were found, by whom, when they were found, and the circumstances surrounding any testing. Our unique attention to detail allows us to hone in on the facts that often make the difference between a successful case and a poor outcome. With hundreds of hours of courtroom experience, our criminal law attorneys provide uncompromising legal representation. Under Arkansas law, controlled substances are divided in six schedules. The classification of substances into these schedules is based on the drugs’ dependency of abuse, addictiveness, and possible medical use. Controlled substances classified under Schedule I are considered to have the highest likelihood of abuse. They include opiates and hallucinogens, as well as some depressants and stimulants. 10 grams or more but less than 200 grams is a Class B felony and carries between 5 and 10 years in jail and a fine of up to $15,000. 28 grams or more but less than 200 grams is a Class B felony and carries between 5 and 10 years in jail and a fine of up to $15,000. Schedule II controlled substances have an accepted medical use, but they are also considered to have a high likelihood of abuse and severe psychological dependence if abused. Examples of these substances include amphetamines and raw opium. Controlled substances falling under Schedule III are those that have an accepted medical use and a lower likelihood of abuse or less severe physical dependence. However, this does not mean that they do not have high psychological dependence. Examples of these substances include pentobarbital and anabolic steroids. 200 grams or more but less than 400 grams is a Class B felony carrying between 5 and 10 years in jail and up to $15,000 in fines. These substances, which include diazepam and tramadol, have accepted medical use, are less likely to be abused and carry even lower risk of physical or psychological dependence if abused. 400 grams or more but less than 800 grams is a Class B felony carrying between 5 and 10 years in jail and up to $15,000 in fines. Substances such as pseudoephedrine fall into this category. They are the least dangerous of controlled substances with only limited dependence if abused. The penalties for this category of substances are the same as that prescribed for Schedule IV controlled substances. The controlled substances that fall under Schedule VI are those that do not fit into any of the other schedules. They are considered to have no accepted medical use and are considered to be unsafe even under direct medical supervision. The classic example of a Schedule VI drug is marijuana. 100 pounds or more but less than 500 pounds is a Class A felony carrying between 6 and 30 years in prison and up to $15,000 in fines. If a person possesses a controlled substance in violation of any controlled substance schedules while an inmate in a state criminal detention facility, county criminal detention facility, city criminal detention facility or juvenile detention facility, the penalty for the offense is increased to the next higher classification. Do I Have a Defense for Drug Possession? In Arkansas, possession of marijuana, cocaine, methamphetamine, and other controlled substances is illegal. However, even if you’ve been arrested, you may still have a defense against the charges you face. Drug-related arrests may be made unconstitutionally or entail other issues that could lead to dismissal or reduced charges, including but not limited to insufficient evidence, a valid medical prescription or search and seizure violations. The Law Office of Jason M. Hatfield, P.A. will use these and other strategies and defenses to move your case towards dismissal before trial or acquittal at trial. Being charged for possession of any one or more substances is serious. If you face a possession charge, contact a qualified criminal defense attorney at the Law Office of Jason M. Hatfield, P.A. today. Delay may severely impact your chances of a favorable outcome. To ensure the best possible defense, call us at the Law Office of Jason M. Hatfield, P.A. at 479-361-3575. The criminal defense lawyers at the Law Office of Jason M. Hatfield, P.A. are the best at what we do. We are seasoned veterans of the Arkansas legal system and we will fight for your rights. Our in-depth knowledge of the intricacies of criminal defense in Arkansas puts us in a unique position to identify what it takes to stop your case from going to trial or to obtain a not-guilty verdict. If it does go to trial, we are perfectly poised to obtain your desired outcome. If you’d like to know more about how we can help you, contact the Law Office of Jason M. Hatfield, P.A. at 479-361-3575 or click here to book a free appointment for a no-obligation consultation.